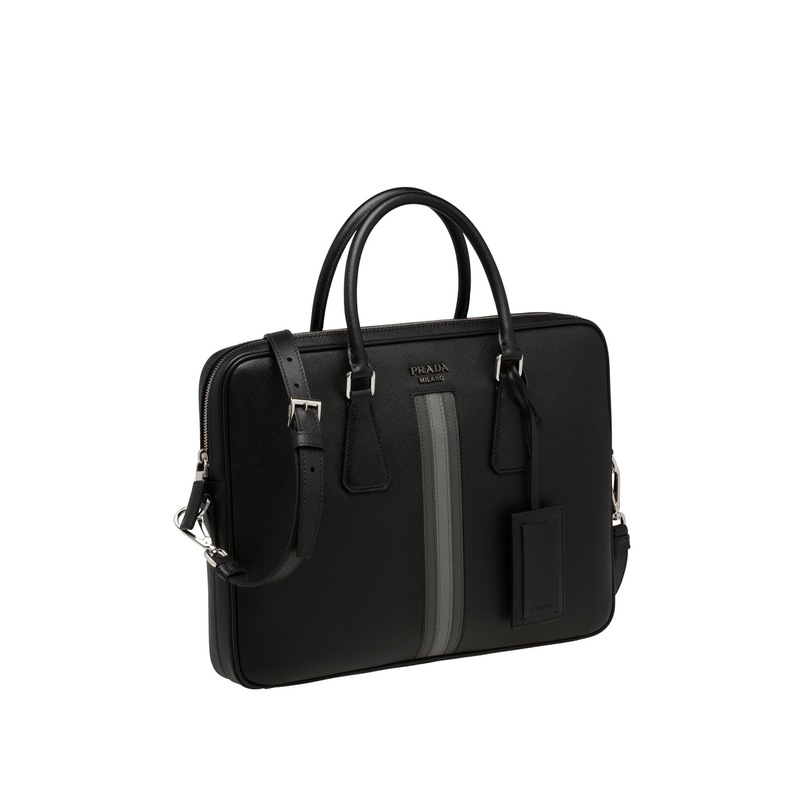 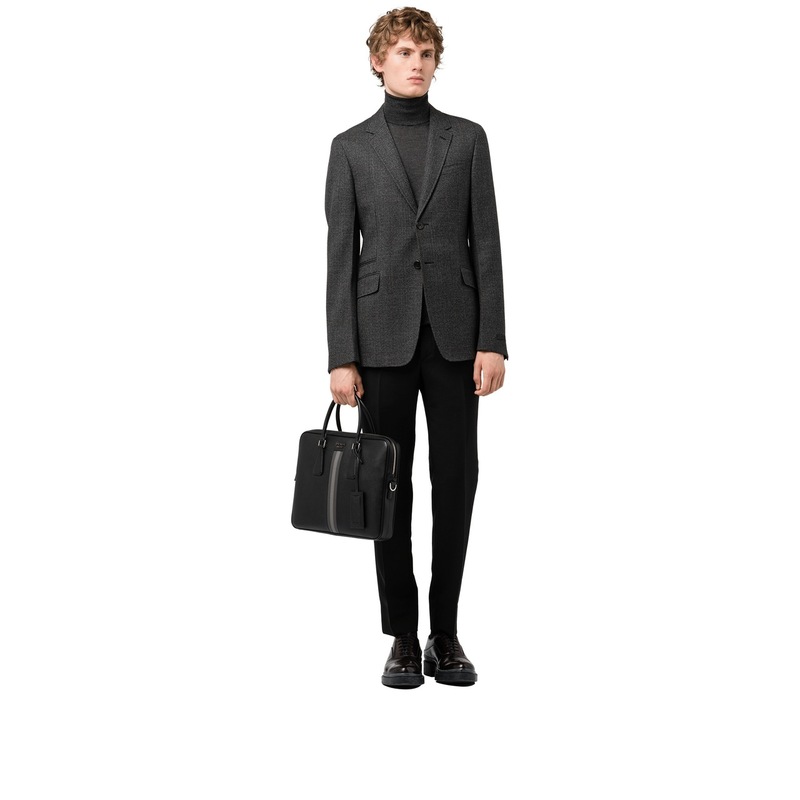 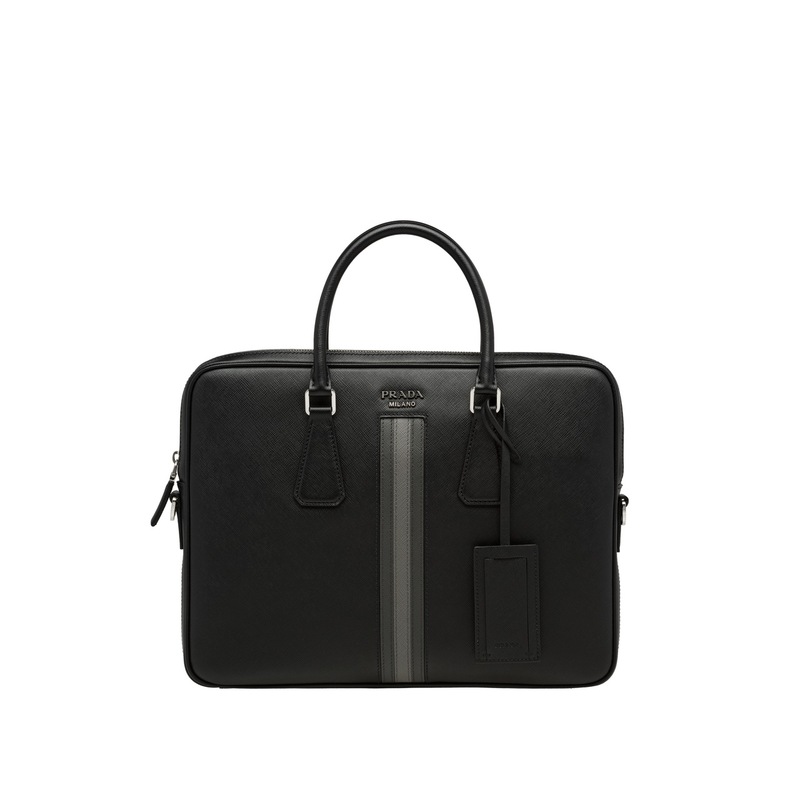 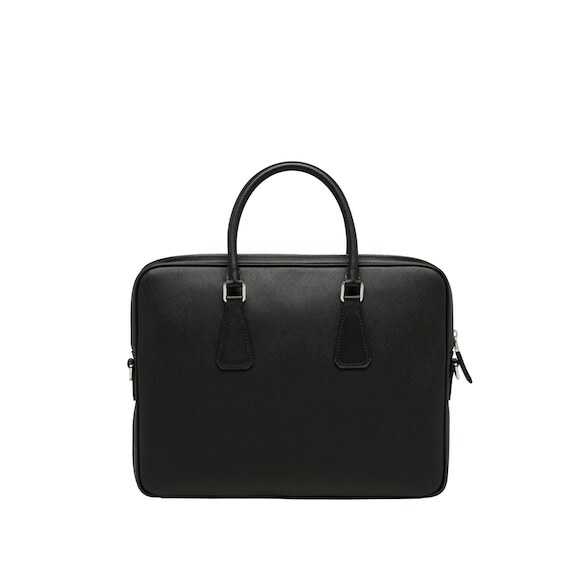 This Saffiano leather briefcase is defined by its bicolor intarsia detail on the front. 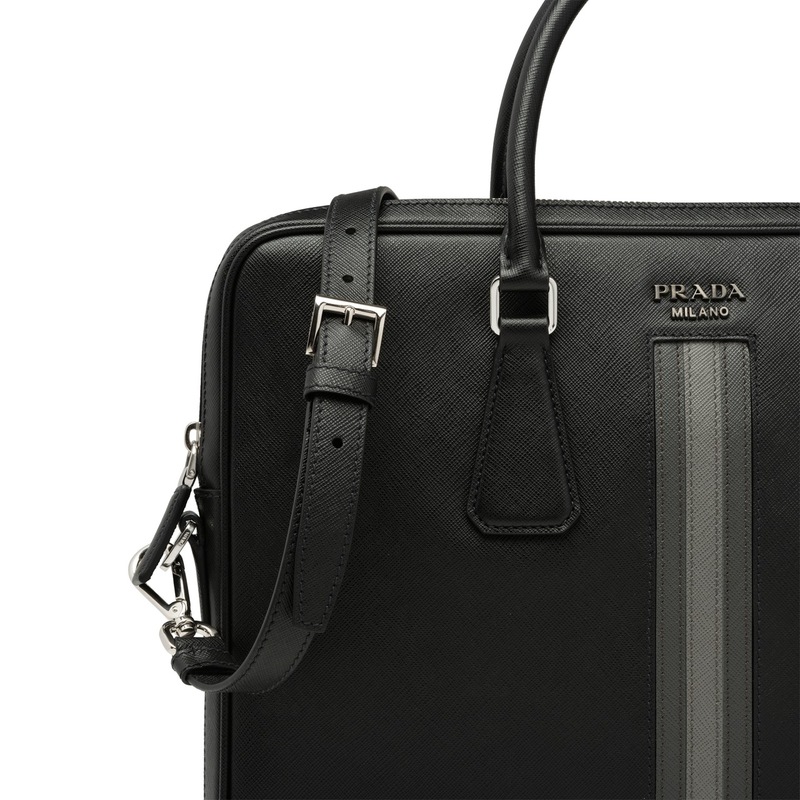 The piece is also embellished with Prada lettering and a name tag. 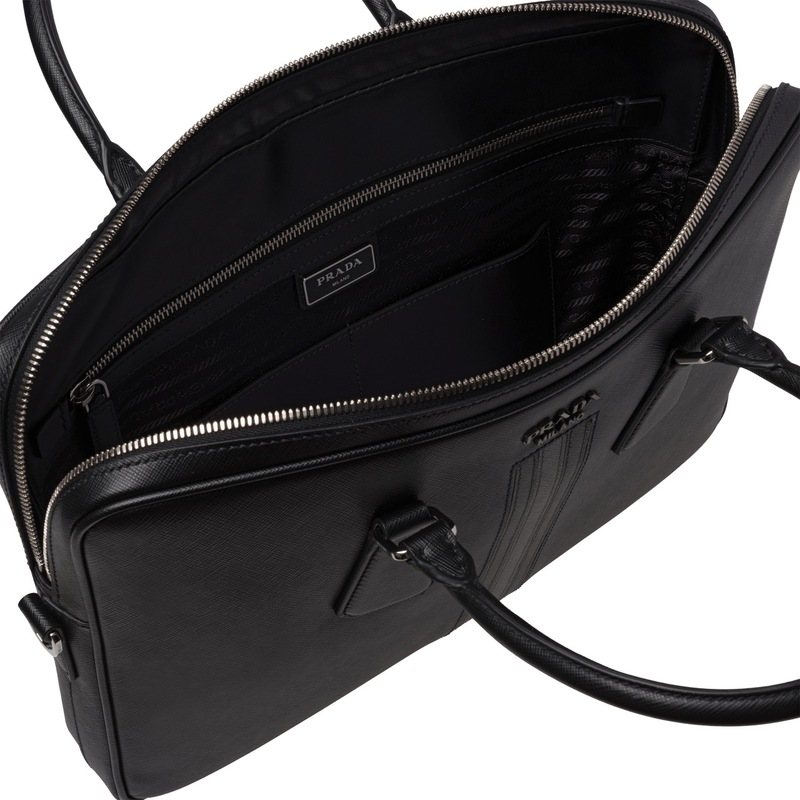 There are two handles and a detachable shoulder strap.